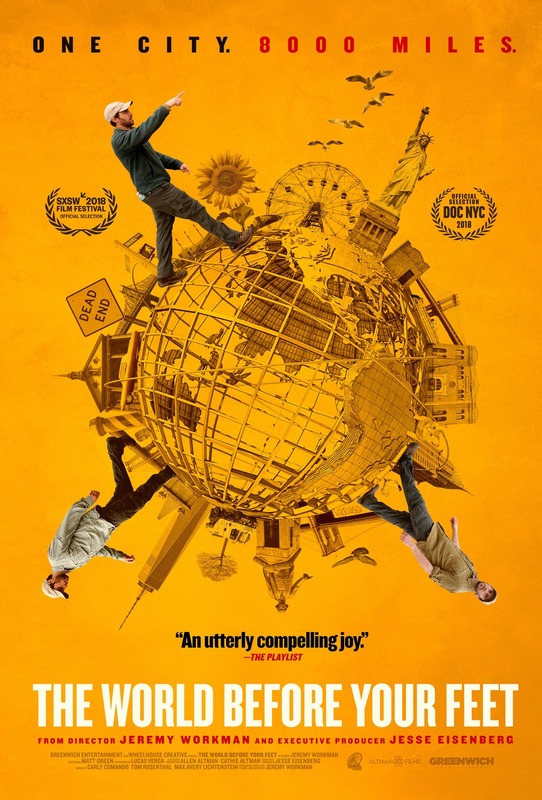 World Before Your Feet, The (2018)? ere are 8,000 miles of roads and paths in New York City and for the past six years Matt Green has been walking them all – every street, park, cemetery, beach, and bridge. It’s a five-borough journey that stretches from the barbershops of the Bronx to the forests of Staten Island, from the Statue of Liberty to Times Square, with Matt amassing a surprisingly detailed knowledge of New York’s history and people along the way. Something of a modern-day Thoreau, Matt gave up his former engineering job, his apartment, and most of his possessions, sustaining his endeavor through couch-surfing, cat-sitting and a $15-per-day budget. He’s not sure exactly why he’s doing it, only knowing that there’s no other way he’d rather spend his days.